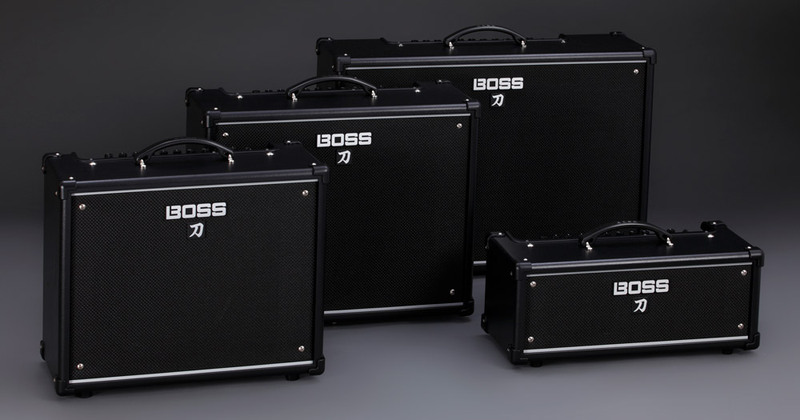 The recently released Katana Version 2 update takes BOSS’s popular guitar amp series to new levels of performance and versatility. Free for owners of compatible Katana amps, the system software update adds many user-requested features, including new effects types, doubled onboard effects capacity, twice the number of Tone Settings, enhanced direct output options, and more. Read on to find out more about this powerful new update. Expanded Effects—Three new types bring the total number of available effects to 58. The Roland SDE-3000 delay, Phaser 90E, and Flanger 117E are based on effects used to create some of rock’s most famous guitar sounds, and work great with the Katana’s high-gain tones. More Tone Settings—There are now two banks of Tone Settings available, providing eight total memories in the Katana-100, Katana-100/212, and Katana-Head, and four in the Katana-50. Tone Setting banks can be selected from the panel or via an optional footswitch. Channel and Global Parametric EQs—Configurable in BOSS Tone Studio, these equalizers offer extensive control for perfectly dialing in your personal tones. More Versatile Reverb Section—Previously, only reverb effects were available in the Reverb section. Now, each of the three storage locations in the section can be used for delay only, reverb only, or delay-plus-reverb. Cabinet Resonance—Derived from the flagship Waza amp heads, this new feature allows you to adjust the amp/speaker interaction to suit your playing style. Three selectable resonance types include Vintage, Modern, and Deep. Air Feel—Also inherited from the Waza heads, this feature lets you shape the built-in cabinet simulation on the line and USB outputs. Three available settings include Rec, Live, and Blend. The Katana Version 2 update adds many new features to the Katana-50, Katana-100, Katana-100/212, and Katana-Head. Click the link below for your Katana amp model. This will take you to the Downloads page for your amp. On that page, click the KATANA System Program link to go to the update page. To perform the installation, carefully follow the instructions on the update page for your amp. The download link is at the bottom of the update page. Note: The instructions include a procedure to check the software version that’s installed in your Katana amp. Currently shipping amps have already been updated with Version 2. Do not install the update if your amp already has the latest version installed. The BOSS Tone Studio editor for the Katana series has also been updated to support the Version 2 features, and is required for use with an amp that’s been updated. The latest editor is available at BOSS Tone Central or the Downloads page for your amp.